I once heard his fellow Canadian author Owen Laukannen describe Dietrich Kalteis’ writing as being like “jazz on the page.” If you want to boil Kalteis’ work down very tightly, for me descriptions just don’t get any better than that. 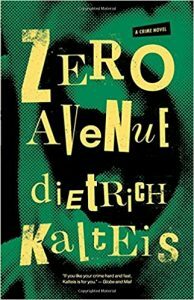 Zero Avenue (ECW Press) is Kalteis’ fifth novel, and it is confident and mature. No uneven beats here, at all. 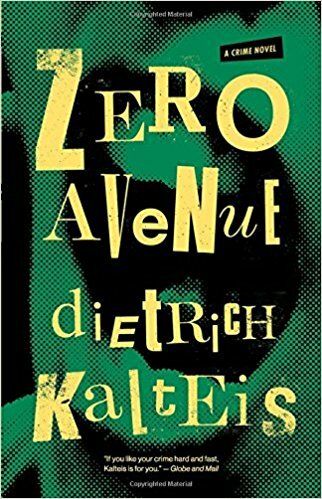 Publishers Weekly said in its review that “if a literary prize existed for depicting the most offensive club lavatories, [Zero Avenue] would win it hands down.” And while that’s pretty much true, there is so much more here than that. Kalteis’ highest ninja skill is that he can make the reader feel deeply with a simple shrug of his super-cool shoulder.